As you already know it’s called the Pareto Principle, the 80/20 rule. It states that 80% of the impact is being made by 20% of the effort. That within any economic system, no matter how egalitarian, that value being created is inherently uneven, as are the rewards. This WSJ article is euphemistically connected in how it describes the ‘constructal law’ of our existence. Life is unfair, both in terms of the giving and the getting. Which is why, in whatever entrepreneurial or professional sphere you choose to occupy, you should strive to be in the 20%. The only way to do that is to be known for something useful and valuable. 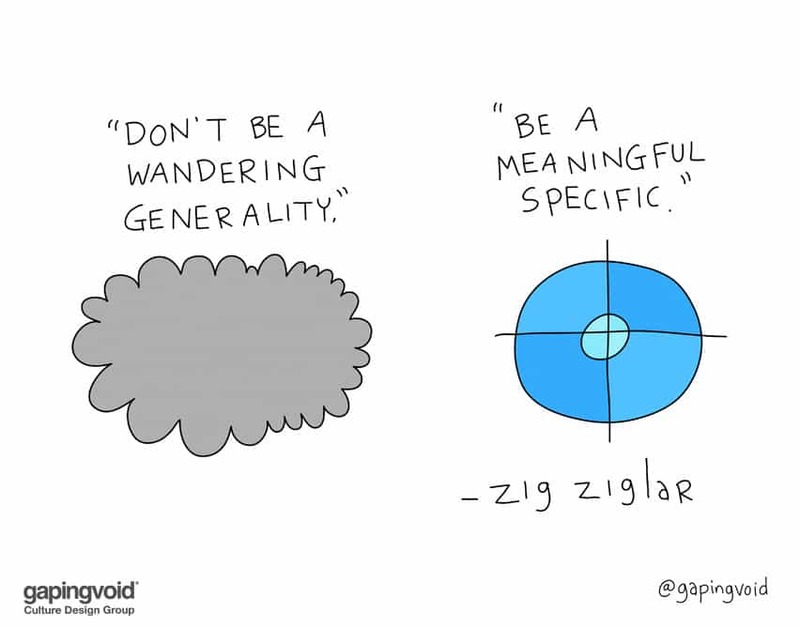 Be what Zig Ziglar called a “meaningful specific” (the 20%), as opposed to a “wandering generality” that nobody cares about (the 80%). The main thing that often separates the good from the great, is that the “great” usually manage to find a specific to hone down on, leaving the “good” to generalize on everything, honing down on nothing.